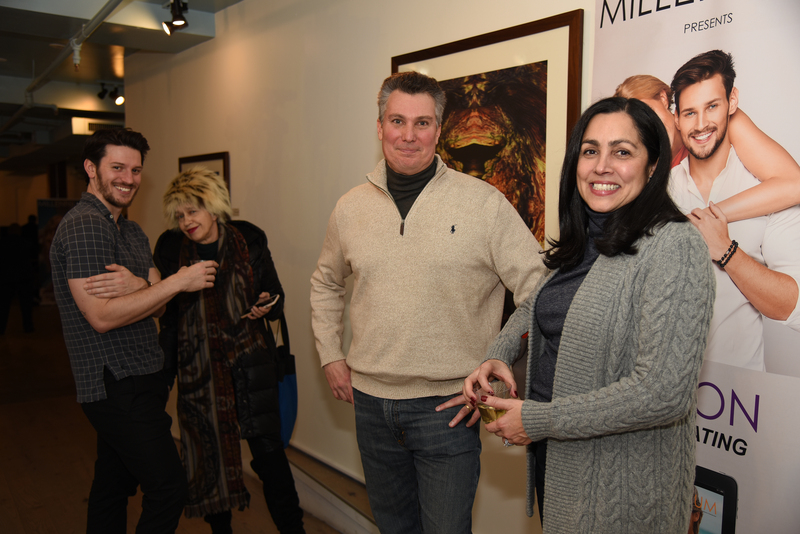 American Soprano Alyson Cambridge star of Opera and Broadway, a hit in Rocktopia, joins fine art photographer Ted Barkhorn for the MILLENNIUM MAGAZINE closing night party for Modern Images of The Natural World at 263 Bowery, NOVO LOCALE gallery space in NYC. Among the guests joining Ted Barkhorn to celebrate the opening of his first New York show, were Elizabeth Shafiroff, President & co-founder of Global Strays, Jean Shafirof, Treasurer & Board member, Lori Zelenko, Adele Nino, Flo Anthony, Catherine Marion, Designer and founder of Jemily Fine Jewelry, Warren Woodberry, Owner and Publisher Millennium Magazine, Martin Shafiroff, Board member Leyla Ligouri, Victor Martinez, Luis Alvarez, Ana Stone, Maria Estrany-Y-Gendre, Ken Fishel, Maria Fishel, Bradley Fishel, Lindsey Feinstein, Richard Ballard, Tony Bowles, Rosemary Ponzo, Lori Zelenko, Elena Ayot, John Lutri, Elizabeth Milstein, Sophia Bishop, Dawne Marie Grannum, Roberta Marroquin, and Dr. Steven Schuster. For Ted Barkhorn, the alliance with Global Strays speaks to a mutual concern for the environment, “I believe that we share a passion for nature itself, respect for the earth, mindfulness of the world around us. Animals, humans, plants, trees…all need protection and that is our shared mission.” Ted Barkhorn is known as The Pareidolia Photographer as his work expresses a phenomenon which happens when we see a recognizable image, a dove, a face, a man, appearing in a rock, a cloud or in this case, a tree. “I am inspired by the mirroring technique of Da Vinci, the depth of Michelangelo and the unexpected colors of Van Gogh,” Barkhorn says. 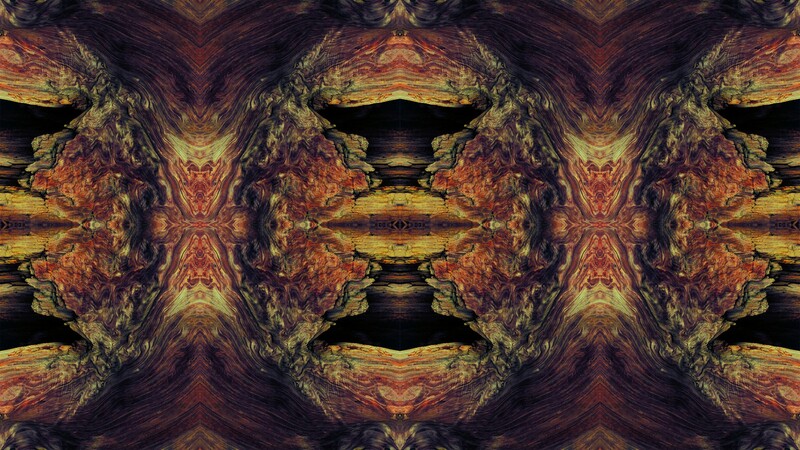 He reveals dimensional stories in his photographs of giant gnarled and twisted Redwood roots. 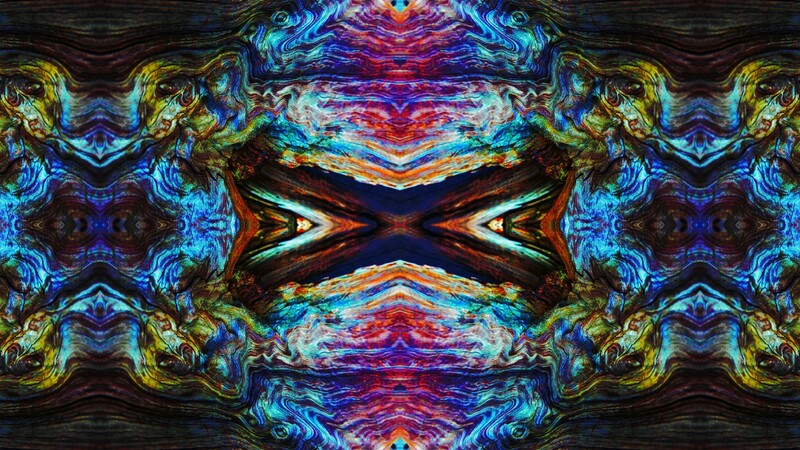 Human or animal figures, sometime hidden in mosaic-like patterns, sometimes appearing in their natural form, are present in his compelling and often brilliantly-colored imagery. 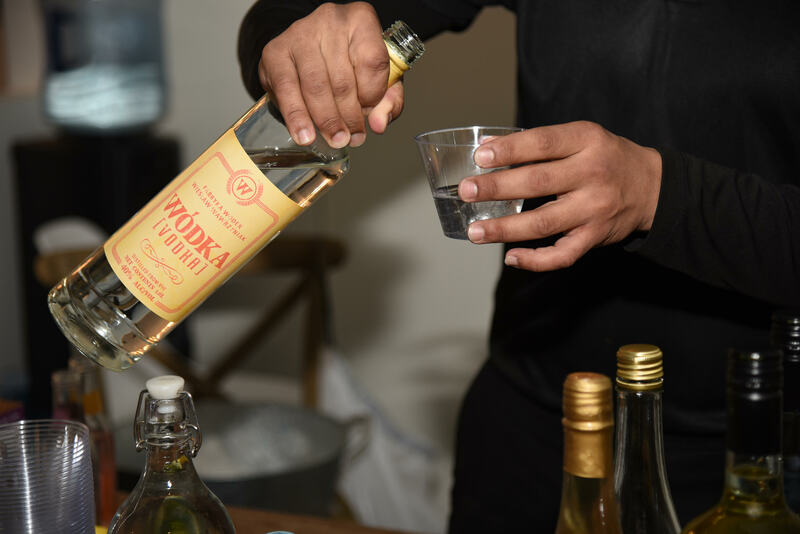 Guests at the opening and closing celebrations of Ted Barkhorn’s Fine Art Photography enjoyed cocktails made with Wodka, the “honest vodka” from Poland (https://wodkawodka.com/) with Q Mixers (https://qdrinks.com/) as well as TOST the celebratory non-alcoholic sparkler (https://www.tostbeverages.com/). Find Ted Barkhorn on Instagram @thepareidoliaphotographer and online at tedbarkhorn.com. 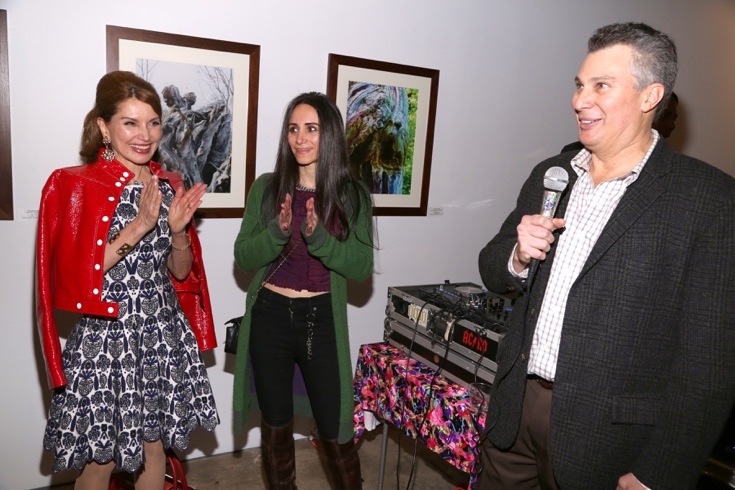 Friends and family were on hand for Ted Barkhorn’s celebrations including famed hyper-realist painter Nick Sider, artist Irina-Rozovskaya, Madeline Barkhorn joined by husband fine art photographer, Ted Barkhorn. 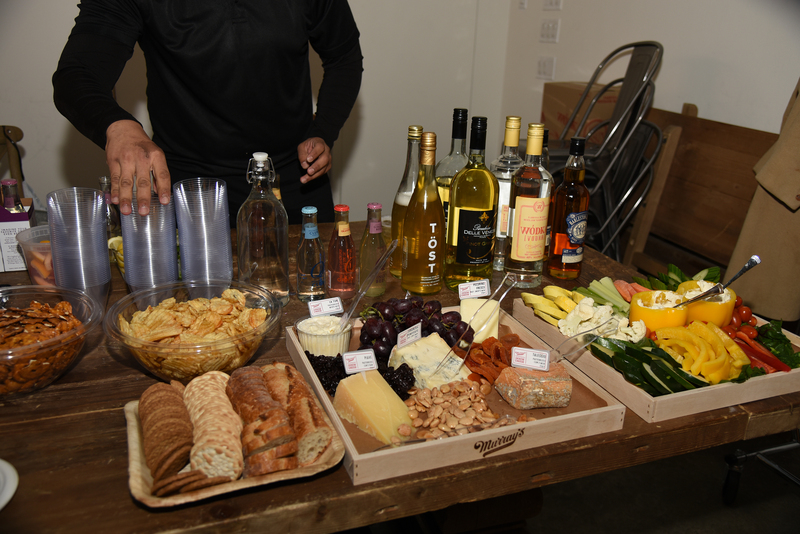 The closing celebration for Ted Barkhorn’s fine art photography at NOVO LOCALE was hosted by MILLENNIUM MAGAZINE. 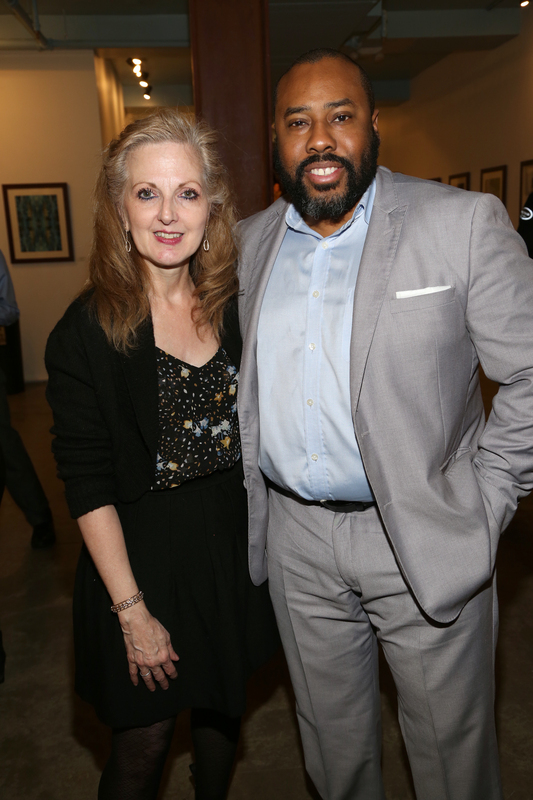 Publisher and owner of MILLENNIUM Warren Woodberry was honored to entertain such notable guests as Alyson Cambridge (https://www.alysoncambridge.com/music) the American soprano who will continue to reprise her Broadway performance in ROCKTOPIA on the national tour of this rock meets classical musical powerhouse. Alyson is known to fans not only for her sublime operatic voice but her equal mastery of our favorite jazz standards. Warren Woodberry, owner, publisher MILLENNIUM, closes out Ted Barkhorn’s show with JEMILY Fine Jewelry designer, Catherine Marion.